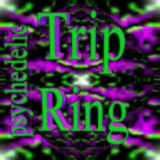 This Site is a member of "The Psychedelic WebRing"
This Psychedelic Ring site is owned by harko. This site is a member of the "Psychedelic Trip Ring"
Diese Site ist Mitglied des "Gray Area Webring"
This Gray Areas On The Net Web Ring site is owned by harko. So, mehr kommt da nicht hinzu, viel mehr Ringe zu dem Thema gibst ja auch nicht. Solltest Du Kommentare verfassen wollen, dann mail mir einfach.